1. 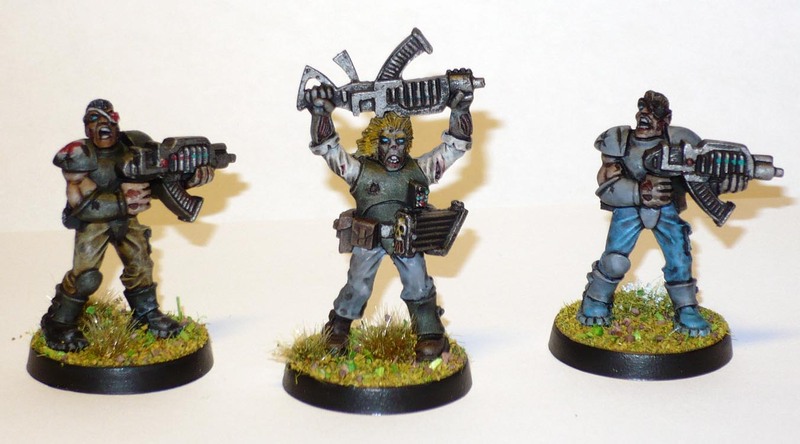 Three Undead Legionnaires, from first edition Warzone. Metal models. 2. 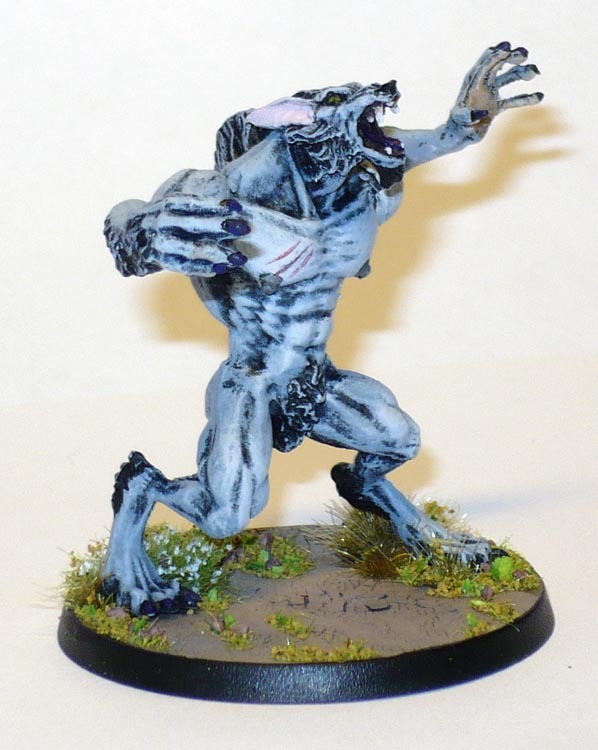 The second Mantic Werewolf. And it does look better in all over grey. 3. Dreadball Team: The Mighty Z´zor! The Ludwig MVP in Thor colours in the works. These have actually been nearly done for ages, just the bases needed doing. Getting a smooth yellow is really difficult with my old paints, even with a smooth bone basecoat beneath. The yellow paints simply have extremely poor coverage, even in several coats. That includes both several old Citadel-types (as in pre-2000), recent Army Painter and Vallejo. Maybe I need to get one of the new citadel base yellows, if they make one. Gah! it’s ugly! Take it to the city walls and kill it with a rock! 4. 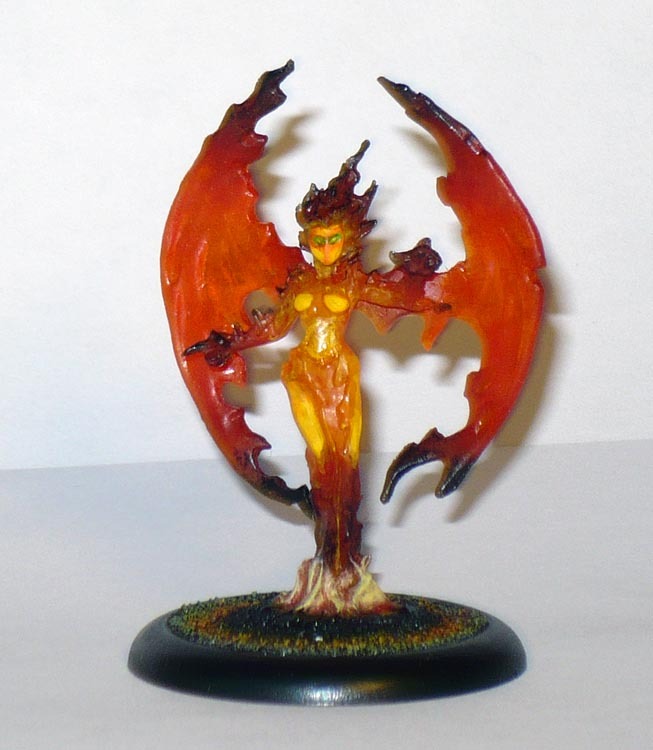 Reaper Bones 77083: Medium Fire Elemental. I am not at all pleased with the result. This one was a bit of a struggle, and in the end, a failure. But I have learned some things with it. a) Translucent Bones also need an undercoat of sorts. First Fail: I started out (after washing it) with yellow ink. -It did not really show, and just made a sticky mess of everything, But it did tint the model a bit. After that had dried for sereval days, I did some drybrushing. Problem was the ink did not stick properly to the bones material, and rubbed off in places. And then the drybrushed paint would not stick. After several goes, I at least got some colour on the mini. Lesson learned: The next translucent bones, I will undercoat with matte varnish. Maybe that lets the paint sit on the mini. b) Thinned down paints definately do not stick to it, when the basecoat fails. Yes, you see the results. Not good at all. Paint has not built up properly, leaving flaws and ruining the effect completely. I tryied to combat this by mixing some opaque bone paint into the mix, but this really ruined it. Big mistake! Lesson Learned: opaque paint does not go with (this kind of) trancelucency. It just jars. c) Thinning with water only goes so far. I mainly thin with water, mostly because I do not have any medium or acrylic paint thinner. Problem is that this effects the paints coherency in additon to the fluidity. The paint somewhat falls apart. Lesson Learned: Use medium insted of water to thin paint for translucency, when painting Bones or large surfaces. I now need to shower my shame away. Gah!